Got a spare $50,000 lying around? Well jump online and book your stay at the world’s first underwater villa in the Maldives. 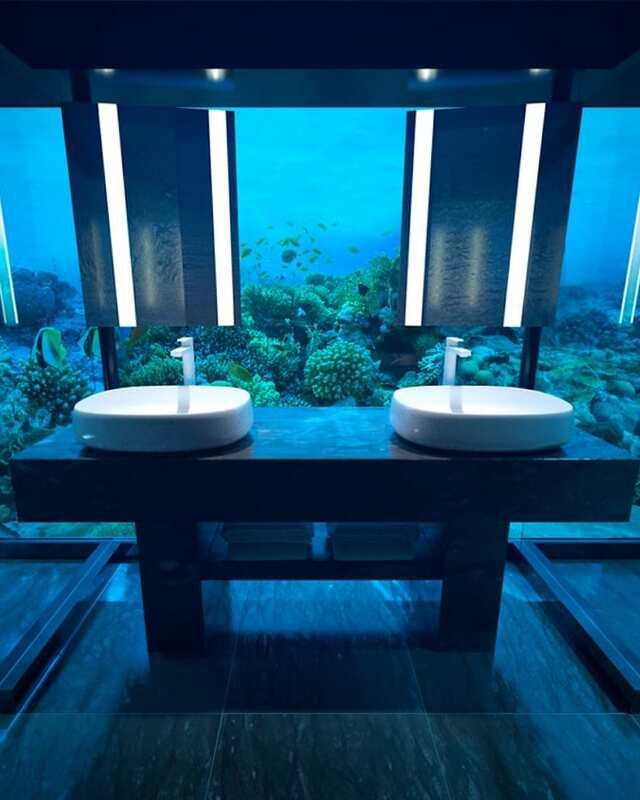 Architect Ahmed Saleem teamed up with designer Yuji Yamazaki and engineer Mike Murphy to create the incredible underwater villa, The Muraka, in the heart of Rangali Island. The Muraka villa sits at 16.5 feet under the sea and you can bank on seeing some pretty incredible sealife while you're down there. It's made of steel, concrete, acrylic and glass and was designed to have minimal impact on the local ecosystem, so you don't have to worry about your fishy friends being put out. While the price might have you seeing stars, you should know that the $50,000 bundle includes a private flight to the resort, speedboats to use throughout the stay, maximum privacy and 24-hour staff including a butler, chef, massage therapists, facialists and trainers—so yeah, go ahead and take out that loan. For those people who can actually afford to stay here (please adopt us), you'll be able to lounge on the upper suite's private jetty and take a swim in the infinity pool before taking the elevator down to the lower suite for a snooze in the plush king size bed while the fish swim overhead. There's also a bathroom and living room down there, so you're free to spend your whole day underwater if you so desire—money well spent! The Muraka is part of the Conrad Maldives, so if $50,000 sounds a bit crazy to you but you're desperate to get to there, you can always check out one of the beach villas or overwater villas—in low season you can get a beach villa for around $550 a night, so they're just slightly more reasonable. If you're the extravagant sort, check out these next level but slightly more affordable trips you should take with your bestie.